Within Temptation announced that they are back on track with a brand new album and a crushing hit single! “The Reckoning” is setting the bar high for what is to follow, but Within Temptation have proven before that they are playing in their own league. The new record of the symphonic metal band from the Netherlands is called “Resist” and wants to make modern music more daring, individual and edgy again. 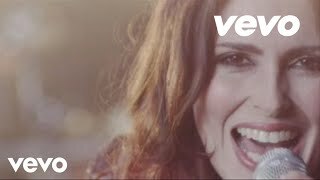 The band around singer Sharon den Adel proves that cross-genre cooperation can result in great, combative and powerful songs.